The government’s choice to become a more cosmopolitan society should be respected, Prime Minister Joseph Muscat told a conference on attractiveness. “We will definitely not close our doors to our foreign friends. We actually need to be a cosmopolitan society and see what our priorities are. If we want growth and businesses to invest in new sectors, we cannot say we don’t want more foreigners. 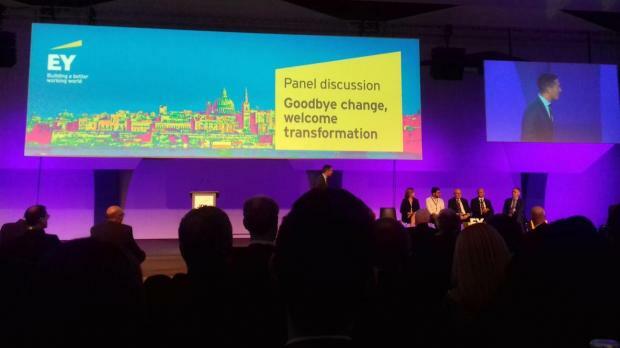 "These two statements are not compatible,” Dr Muscat said at the EY Malta’s Annual Attractiveness Event which is this year focusing on the 'transformative age'. “We need to get our choices right and respect different choices. This government has made a choice - we want to continue expanding our economy, we want that expansion to be sustainable – we want to be a more cosmopolitan society,” he said, adding that Malta will continue investing in infrastructure. Malta was getting its priorities right - starting by opening up to blockchain and the DLT technology sectors. Throughout the process, the government did not offer a free-for-all-market, or one single tax incentive. Instead, it provided sensible regulation, the Prime Minister said. Referring to Artificial Intelligence developments, a sector that has seen increased international concern about regulation, Dr Muscat said Malta will be one of the first to have its own regulatory framework for AI in the next few months. “What is next for our country?... We have a choice – to be afraid and hold on to the status quo and hope that nothing happens or to tread forward carefully but in a robust manner,” he insisted. Earlier, Dr Muscat spoke of Malta’s economic progress in comparison to fellow EU member states. He noted that while the European Commission was proud of the union’s 21 consecutive quarters of economic growth, in each of these quarters Malta had registered a growth rate that was at least double that observed in the EU, and sometimes even 10 times the growth rate seen in mainland Europe. He also noted that Malta’s current employment rate was nearly 71% while that of Europe was less than 69%. From four percentage points below the EU average, Malta had increased its rate to two percentage points above the average, closing the gap with Scandinavian partners and Germany. “Many times, the decisions we took were rightly so questioned and contested. I still remember well-meaning civil servants shaking their heads with disbelief when we said we will lower the energy tariffs – we were told that it could not be done." Similarly, well-meaning European civil servants shook their heads when Malta said it would be cutting taxes while improving benefits and boosting investment. Since then, Malta reduced the electricity tariffs by 25%, continued to lower income tax, raised pensions and children’s allowances among others, and topped the macro economic stability index of the 2018 Global Competitiveness report, he added.